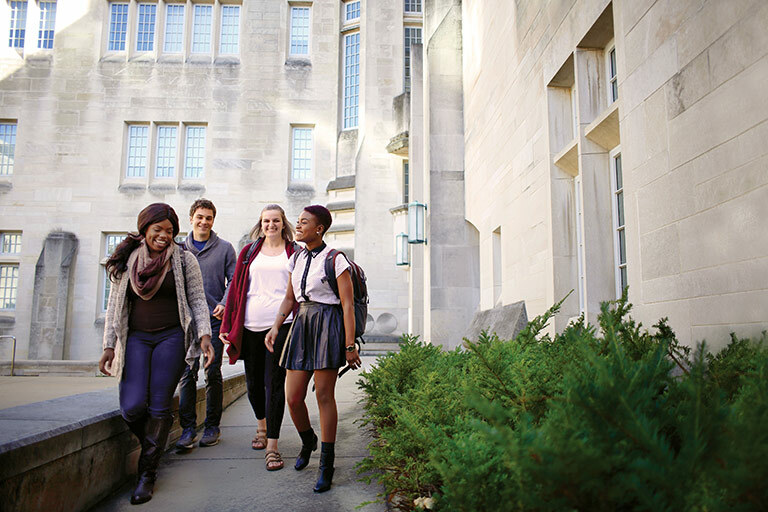 From top-notch academics to our gorgeous campus, IU Bloomington is the college where you really can have it all. At Experience IU Day, a visit program just for sophomores, you and your guests can experience IU in person. You'll learn about our exceptional schools, vibrant student life, and celebrated traditions, as well as the student services that will help you become your best. You'll also take a campus tour and receive information about admission and scholarships. Experience IU Day will take place on Saturday, March 30, 2019. Space is limited and reservations are required. After registering, you will receive a confirmation email with additional event information. If you need to change or cancel your reservation, you may also use the button below. We are excited to see you! As you plan your trip, remember: Bloomington is in the Eastern time zone and observes daylight saving time. Below is a tentative list of the day’s activities. Check-in will take place at the IU Auditorium from 8:15 to 9 a.m., and all Experience IU Day attendees will receive a detailed agenda at that time. Check out our video for what you can expect at Experience IU Day. The Biddle Hotel and Conference Center has welcomed campus visitors for more than 100 years. Located in the Indiana Memorial Union, it’s a great option if you want to stay right in the heart of IU Bloomington. Of course, Bloomington also has some charming bed and breakfasts and big-name hotels you can choose from too. Complimentary parking for your visit will be on the upper level of the Jordan Avenue Parking Garage, 150 N. Jordan Avenue. Parking permits are not required for Saturday visits. Stairs to exit the garage are in the northwest corner of the garage. IU students will be available beginning at 8 a.m. to direct you to the IU Auditorium, where our program will begin. Use the map below to get personalized directions for your drive.